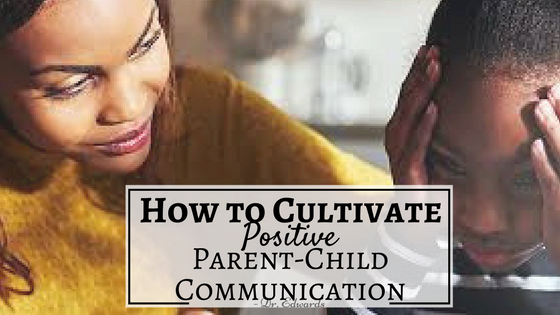 Proper communication between you and your children are essential for a positive, healthy relationship. In addition, the way you and your partner converse with other members of the family can have an impact on your child’s development. 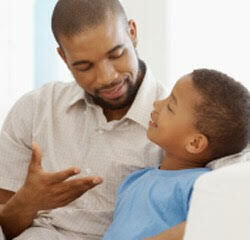 Starting your children early with a good communication foundation will help as they get older. The good communication skills they learn will make it easier to talk about harder subjects in the future; there are many important conversations you will need to have with your children throughout their lives. Communicating with your children can be an utter puzzle because you are living in two different worlds, two different outlooks on life. Parents who communicate effectively with their children, though, have a higher likeliness of raising children who are willing to do as they are told. “Such children know what to expect from their parents, and once children know what is expected of them, they are more likely to live up to these expectations (Zolten, 2006).” This is because the children feel more secure in their family and are more willing to cooperate because of that security. When it is challenging to get your kids to cooperate, how do you get them to actually listen instead of just arguing? 2.) LISTEN. This is one of the most important things to do when communicating with a child. When your children are talking about concerns, stop whatever you are doing and listen. Listen to their point of view and let them complete it before you respond. Making and maintaining eye contact, eliminating distractions and obtaining as much privacy as possible is key. 3.) Express your own feelings and take care of your own wellness. “If you’re stressed or anxious, those feelings can be conveyed through your interactions” with your children (Dr. Shore, 2017). Same goes for if you are angry or tired. If you are very angry about something, do not attempt to talk to your children until you regain control over your emotions, or else you will not be objective. Also, if you are very tired, your mind and body won’t be actively listening, so if you can put off communicating until you are rested, try and do so. Remember to have a hobby or interest that is all your own. This will help you if you’re unhappy or overwhelmed. 4.) Be Direct, but don’t order your children around. Getting you children to cooperate and not argue can be a giant hurdle. One reason your kids will argue with you is when they feel they have taken control over what’s happening and believe they hav e the upper hand. If you do something together or at least work together for a common goal, this will take away the power struggle. Avoid the word “no,” instead rephrase how you want something done, or how it will be going in a certain instance. Give limited options when you want to seem like you are giving in. It may not seem like much, but it could mean the world of difference to the child. For example, instead of fighting about them not being able to go ride their bike right now, say you can ride when we get back or you can ride for five minutes and then do the dishes. Something along those lines… This will help avoid a total meltdown argument. Open, effective communication benefits not only the children but every member of the family. Praise and actively listening are two of the easiest ways to gain solid communication with your children. This kind of communication takes a lot of hard work and practice. Remember you are not perfect, you make mistakes and so will your children. As long as an effort is made to effectively communicate at a young age, a close and positive relationship between parent and child will blossom.